The Weather and the LGBT Physical Sciences Climate Survey. 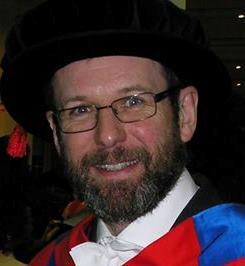 I wrote this post on Thursday, after a long and busy day, in a hotel near Paddington station, having long since given up the possibility of returning to Cardiff today owing to the inclement weather conditions. Fortunately I had taken my overnight things and a change of clothes in anticipation of the likelihood of getting stranded. Unfortunately the hotel WiFi crapped out and it seems it never got posted, so I’ve updated it and here it is now. 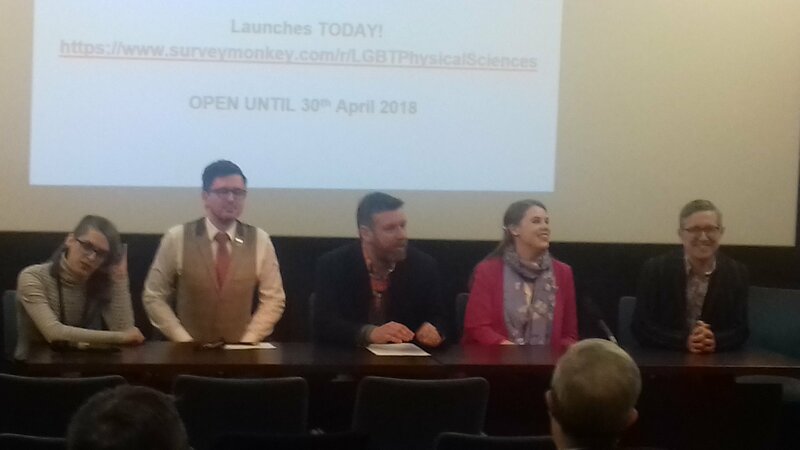 I was in London for the launch event for the LGBT Physical Sciences Climate survey. Before going on please let me wish you a belated Dydd Gŵyl Dewi Hapus, as Thursday was St David’s Day! I rose at 5 o’clock on Thursday morning to get the 6.26 train to London to participate in this event. It was all going well until we reached Swindon (about halfway into the journey) but then we warned that Paddington station was closed and the train would be terminating at Reading. I was a bit surprised by this as there wasn’t really very much snow at all, but it turns out that the snowy conditions had made Paddington too slippery to be safe. That’s no doubt because of the shiny floors added at great expense but very little point when the station was refurbished some years ago. At no point on the journey into London did I see more than half an inch of snow. It’s truly pathetic that such total disruption of this major transport route resulted from such a small amount of snow. I was advised by the GWR staff at Reading to turn forget about making it to London and instead to get on the train back to Cardiff, as no trains were going into out out of London and snow was heading for Cardiff making it unlikely I would get back this evening even if I did continue on my journey. Eschewing this advice I found that trains were leaving from Reading to Ealing Broadway, so I got one of those and took the Central Line underground from there into town. I arrived about 11am at the Institute of Physics, about two hours later than planned but I had left early in anticipation of likely delays. The participants (from left to right) were: Dr Ashley Spindler, Dr James Claverley, myself, Niamh Kavanagh, and Professor Dave Smith. There then followed a little drinks reception and a group of us subsequently adjourned to a local pub for drinks. Anyway, the main point is that the survey is now live and can be found here. That link also tells you who’s eligible to complete it. I made it back to Cardiff yesterday. The train I was on was about half an hour late, but that was understandable. The strange bit was that most of the delay resulted from us running very slowly through the Severn Tunnel. There certainly wasn’t any snow down there! Cardiff city centre was virtually deserted and none of the roads had been cleared of snow. I’m guessing no buses were running, as I didn’t see any on the way, and there were few cars. Many shops were closed. The M&S in the station was open but had received no deliveries that day, and was just selling what it had from the day before. I bought some groceries, mostly at a reduced price. This was the view towards Pontcanna Fields from near the cricket ground. Fortunately I was wearing heavy walking boots, but I’d forgotten what hard work it is to walk through snow! This morning there’s still a lot of snow around and no sign of any attempt to clear the roads. I wonder if there’ll be anywhere open to buy a paper?